T-Pain is back with a new collaboration helped by Tory Lanez. The song is a dope also it also come as one of T-Pain songs surfacing this 2019. We were not complaining at all but in 2019, it’s all about new music. 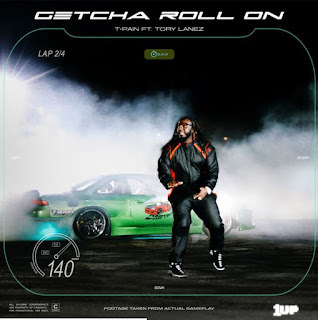 Teddy Pain kicks starts his campaign this night with the brand new single ‘Getcha Roll On’ where he combines forces with Tory Lanez. One listen and you can tell that it has the potential to be a smash. This track serves as the first single off his forthcoming album 1Up — listen below.